This customers older but charming home in Paoli PA was in desperate need of a bathroom remodel. 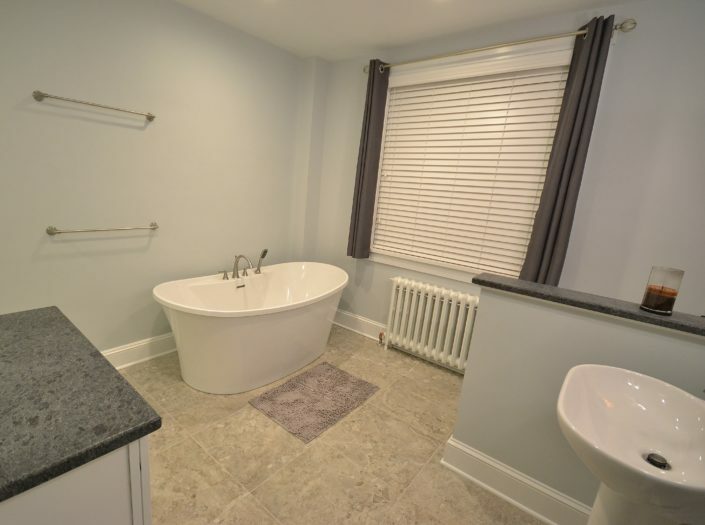 The original home owners had added a bath to the first floor but it was thrown together and not what the new homeowners wanted. 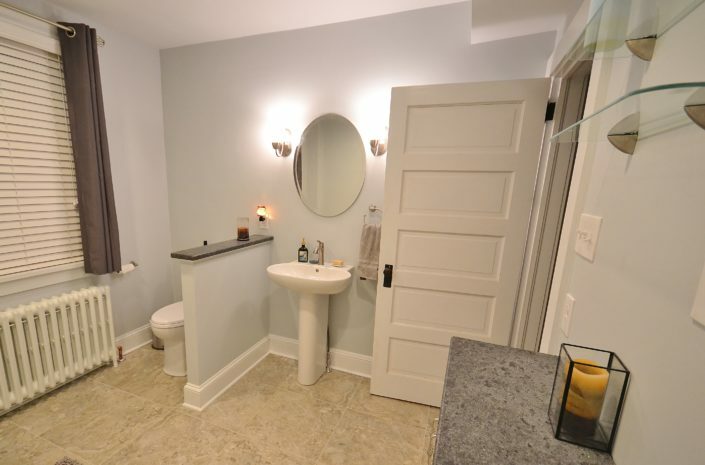 We remodeled the bathroom from the ground up; reframing the original flooring joists to support a new tile floor, relocated the toilet and sink locations, and adding a new tiled shower. 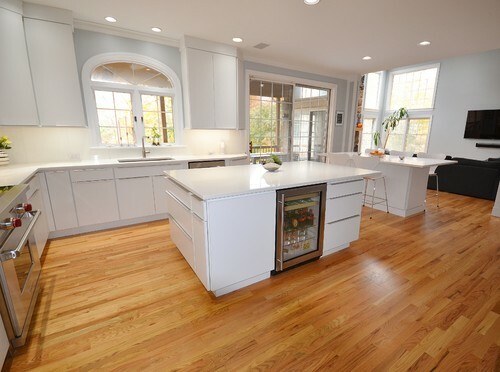 We kept as much of the plaster walls, trims, and radiator to keep the original charm of this old house. 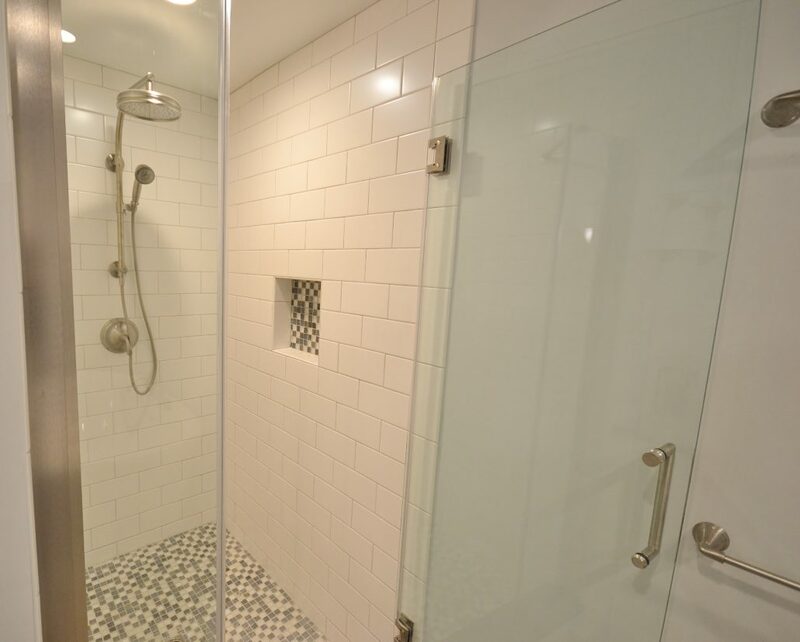 We used a simple white subway tile for the new shower with a Dreamline shower door. 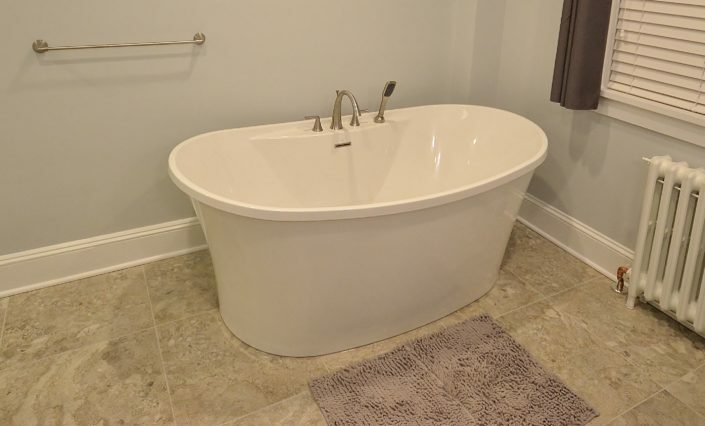 A sleeker new freestanding tub was installed. 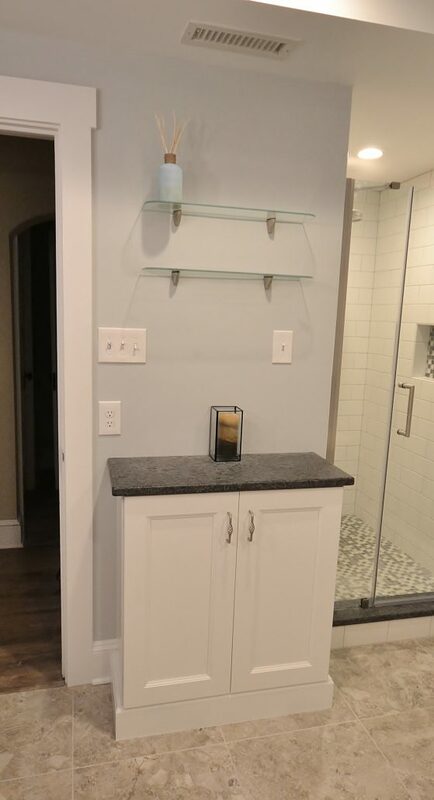 A pedestal sink and separate storage cabinet add to the traditional look. 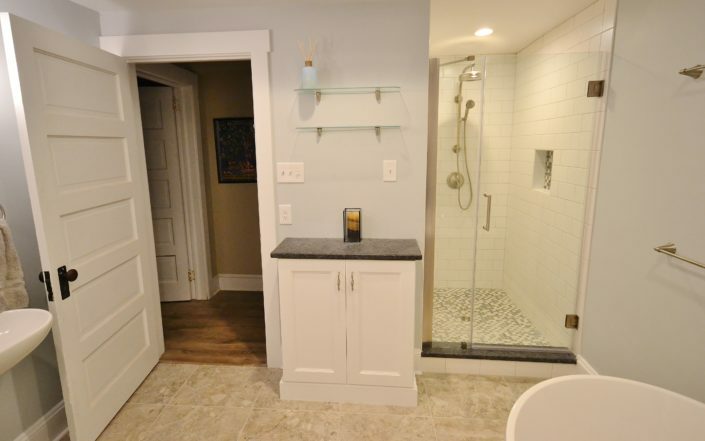 Older homes are always more interesting and harder to remodel but this project added both a usable and stylish new bathroom for this growing family.